Menopause is a critical time in every woman’s life. It brings about a lot of changes in a woman’s body too. Some common signs of Menopause are irregular periods, hot flushes, tiredness, irritability and mood swings. But it has some adverse effects too. If adequate care is not taken it can lead to joint pain, osteoporosis, skin pigmentation and depression too. But not many know that they can reduce these effects through ayurveda which is safe and effective, making the entire experience of menopause easy and stress free. Calcium and Iron supplements are very important. 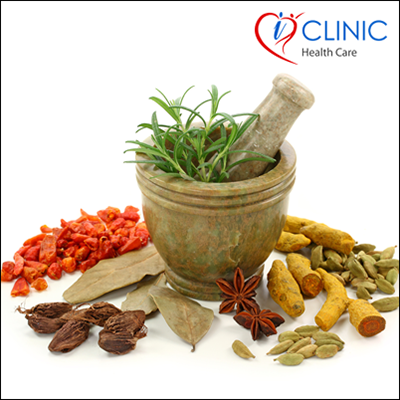 One can opt for various tablets or tonics easily available in the market. But it is always advisable to consult a doctor first. One can save time and effort of visiting a doctor and seek online consultation at the comfort of one’s home or office at iClinic Healthcare. The 24/7 online service provider has renowned doctors from various specialities who can offer correct medical guidance to help you overcome any medical issue. Doctors feel that having adequate calcium and iron prevents osteoporosis, anemia, weakness, tiredness and joint pains. It is also common to gain weight during menopause. So it is important to exercise regularly to stay fit. This can be accompanied by regular massages to prevent joint pains, skin pigmentation, weakness and weight gain. One can use coconut or any branded herbal oil. If you are suffering from any medical condition it is advisable to use a medicated herbal oil to reduce joint pains etc. If it is not possible to seek massage from a professional one can simply do it at home and take a hot water bath once a week. Taking care of one’s skin using good products is also vital. Although many people refrain from taking ghee, as per ayurveda consuming ½ teaspoon ghee per day is very important to stay healthy. It prevents joint wear and tear, provides the necessary amount of oil for hair and skin and it aids in digestion. Fenugreek enhances hormone balance and dry roast fenugreek seeds can be powdered and consumed every day. It is important to remember that one needs to take of mood swings. It is advisable to set apart some time for individual self: read, listen to music and pursue a hobby. This will help to reduce the experience of irritability, mood swings, anxiety, depression etc., during menopause that many people experience.